His is founder and editor of Journal of Massage Science. Dr. Turchaninov lives in Phoenix, Arizona with his wife and daughter. His interests are literature, art, history and travel. Dr. Novakovic graduated from Belgrade University’s School of Medicine in 1986 and completed his residency at Arandjelovac Hospital, Serbia. He has participated extensively in medical research and has published several papers in Serbian and other European medical journals. He moved to the United States in 1989 and became a partner in Pacific Coast Medical Management in North Hollywood, California. In 1994, he completed the American re-certification of his medical diploma, and was admitted to the Family Practice residency at the Swedish Covenant Hospital in Chicago, Illinois, affiliated with The University of Chicago’s Medical School. Dr. Novakovic completed his residency in 1998. He is the recipient of the prestigious “Slawikowsky Award” for the “Resident of the Year 1998.” He is Board certified by the American Board of Family Physicians. In 1998, Dr. Novakovic moved to Arizona and opened the Novakovic Family Practice. 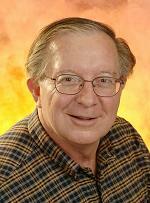 His very successful practice is based on an integrative approach to patient treatment. Dr. Novakovic has created a unique blend of modalities of traditional allopathic and alterative medicine. He extensively uses medical massage and other forms of somatic rehabilitation in the treatment of his patients. He held a teaching position in the Family Practice Residency Program of St. Luke’s Hospital, Tempe, Arizona, and currently trains the medical students of the St. Eustachus Medical School. Dr. Novakovic actively pursues his scientific work. He is currently conducting a clinical trial to examine the pathogenesis of Hashimoto’s Thyroiditis. He lives in Gilbert, Arizona with his wife and three children. He is also a musician who writes music and makes recordings. Dr. P. Novakovic is a recipient of “Patient Choice Award” for 2008 and 2009 in Arizona. He can be reached though his website www.drpedja.com. Dr. Bipar has an unusual background for a physician. He graduated in engineering from Lousiana State University in 1981 and worked as an engineer for Exxon Mobil. In 1989, he enrolled in the Dental School of the University of Texas and graduated in 1993 as a Doctor of Dental Surgery. He later obtained degrees as a Doctor of Periodontics and Implant Surgery, and Plastic and Reconstructive Surgery. Dr. Bipar’s unique combination of medical and engineering backgrounds helped him to become one of the world’s most recognized dentists and oral reconstructive surgeons. In 2009, the American Research Council recognized him as among the top ten dental surgeons in the United States. Dr. Bipar is a member of the American Dental Association, as well as the International Academy of Periodontics. He teaches at the Arizona Dental School and actively lectures worldwide on behalf of the International Academy of Periodontics. Dr. Bipar uses many modalities for his patients, including medical massage, as a part of an integrative protocol in the treatment of temporomandibular dysfunction, neuralgia of cranial and peripheral nerves, etc. He lives in North Scottsdale, Arizona, with his wife and two children. His hobbies are sports, cars and travel. Dr. Hymel is Professor and former Chair of the Department of Psychology at Loyola University, New Orleans. His areas of specialization include educational psychology, research design and statistics, personal adjustment/stress management, and positive psychology. Dr. Hymel is a graduate of the Blue Cliff School of Therapeutic Massage in Metairie, Louisiana, and maintains a practice in the Greater New Orleans Area. Dr. Hymel is the author of the textbook Research Methods for Massage & Holistic Therapies (Elsevier, 2006) and the tertiary author (along with Sandy Fritz & Leon Chaitow) of Clinical Massage in the Healthcare Setting (Elsevier, 2008). He is currently serving as the Founding Executive Editor of the International Journal of Therapeutic Massage & Bodywork as well as an Associate Editor of the Journal of Bodywork and Movement Therapies. Mr. Bouimer, born in Ukraine, has been a Licensed Massage Therapist and a Certified Fitness Trainer for over twenty years. Mr. Bouimer graduated with honors from the Institute of Physical Education of Ukraine. Since the very beginning of his career he has been involved in scientific research on the effectiveness of massage therapy in the treatment of sport injuries. For several years he worked at the Center for Scientific Research at the Ternopol Medical Institute in Ukraine. He is author of many articles in European and American medical and massage journals. As a three-time Ukrainian champion in triathlon, and a coach, he learned the benefits and necessity of massage therapy very early. In his work with elite athletes Mr. Bouimer has been on the cutting edge of somatic rehabilitation. Based on his personal experience in dealing with injuries, he has gained a deep understanding regarding the pathophysiology of pain. The analysis and comparison of different modalities lead him to develop a system of Sports Massage based on a unique combination of the most valuable techniques and approaches for rehabilitation of the athlete. Mr. Bouimer relocated to the United States in 1993. Currently, he maintains a very active practice of Sports Massage in Los Angeles. Star players of the NBA, NHL and NFL seek him out extensively for his system of Russian Sports Massage. He teaches nationwide, and has founded a Medical and Sports Massage Club in Los Angeles for practitioners who wish to learn massage therapy based on scientific principles. Mr. Bouimer is founder of the Global Wellness Institute, a non-profit organization in South California which sponsors fundraising events to promote research and education in massage therapy, as well as physical education of kids in public schools. He lives in Los Angeles with his wife and son. Mr. Rayson was born in Seattle, Washington, and currently resides and works in Scottsdale, Arizona. He has been a full-time Massage Therapist since 1996. He graduated from the Phoenix Therapeutic Massage College in 1995. Since then, he has practiced medical massage in his clinic in North Scottsdale. Mr. Rayson is on a constant quest after knowledge, and successfully uses what he learns to help clients suffering from a variety of somatic abnormalities. He also trains young massage practitioners in the art and science of medical massage. Besides his passion for more knowledge relating to his career, his hobbies include: golf, backcountry fly-fishing, and aviation. He is a licensed helicopter pilot. John Antonopoulos has worked professionally in the massage therapy field since 1984. He studied with the distinguished Paul Andres of Alsace, as well as at Montreal’s Kine-Concept Institute. Between 1995 and 2001, he also worked as a copy-editor on articles published in major English-language medical journals. He has always been drawn to, and has sought to express, the poetic potential of massage. His longtime curiosity regarding the technical wealth and rigor of the European school of massage led to his eventual contact with Dr. Tourchaninov in 2007. From there, a fruitful and rewarding association was forged, with his participating as editor of the website and journal. He is an avid swimmer, learner of languages, musician, and tango singer. He conducts a private practice in Montreal, Quebec, Canada.